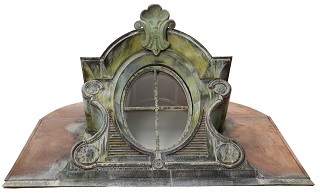 Fine homes deserve the safety and quality of a UL-listed, custom CopperCraft chimney pot. Make a statement with ready-to-install, self-contained dormers that require no additional framing. By combining old-world craftsmanship with modern manufacturing, CopperCraft delivers the quality you and your customers demand. 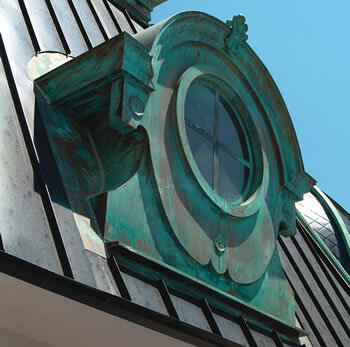 From eye-catching spires to architectural chimney pots, CopperCraft has a solution for every project. See product line drawings and specifications. CopperCraft dormers make an impressive statement. Available in a variety of finishes for residential and commercial use, the self-contained units are both beautiful and functional. 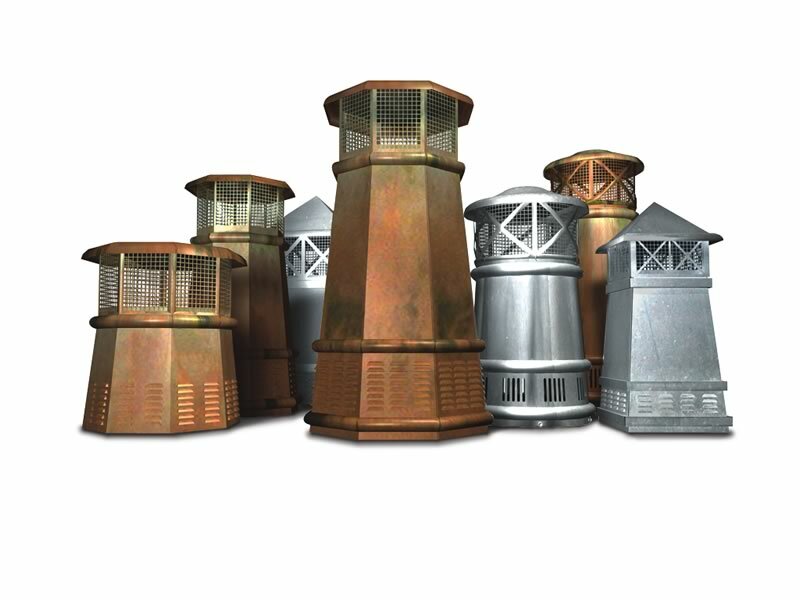 Available in a wide variety of styles and finishes, CopperCraft chimney pots add impressive visual appeal while protecting chimneys and interiors. CopperCraft conductor heads add architectural appeal and help protect buildings from water and ice damage. Select from existing designs or create your own. CopperCraft spires and finials can be fabricated from existing designs or your unique vision. Hollow bases can be adapted to house cable for lightning arrest.